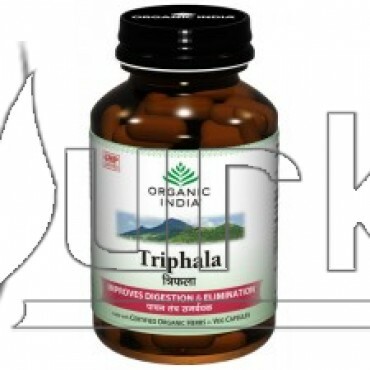 Triphala is one of the most famous ayurvedic herbal formulations. 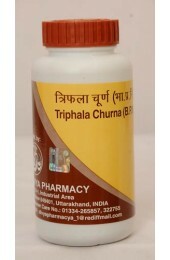 Triphala literally means "three fruits" containing Amalaki (Emblica officinalis), Bibhitaki (Terminalia belerica) and Haritaki (Terminalia chebula). 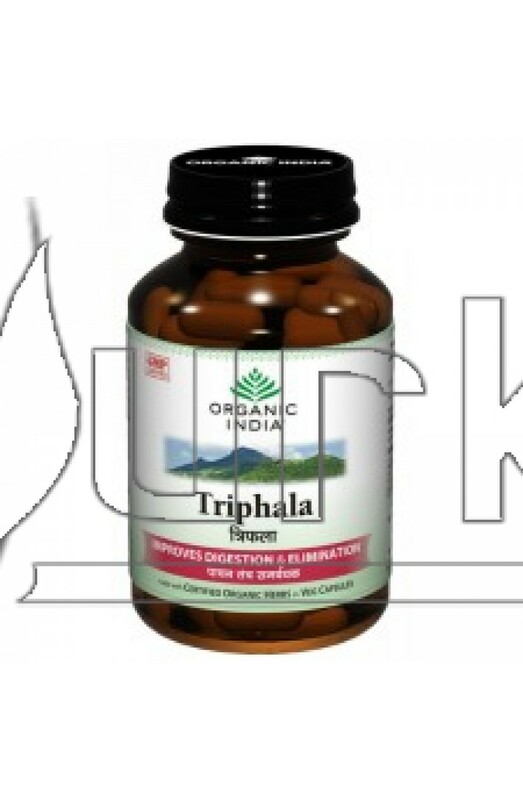 The benefits of Triphala are so well known that a well-known Indian saying goes like this: "You don't have a mother? 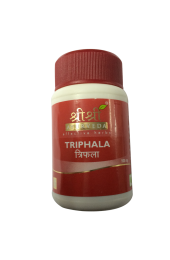 Don't worry, as long as you have Triphala in your life!" Triphala is tridoshic-equally balancing for Vata, Pitta and Kapha-it is useful for all skin types. Amla, one of the three ingredients in Triphala, is the richest known natural source of vitamin C. Vitamin C helps in the production of collagen, which is necessary to keep skin supple and thick. 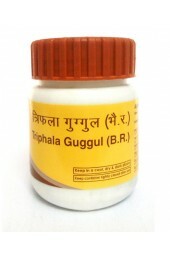 Triphala also contains calcium and other micronutrients. Triphala helps detoxify and cleanse the colon; it also purifies the blood and removes toxins from the liver. Other benefits of Triphala include, reducing some forms of lipids (serum cholesterol), hypotensive and antacid activity. INDICATIONS for usage: Constipation, hyper acidity. Hyper motility, anorexia, indigestion, skin disorders and eye diseases. DOSAGE: 1-2capsules or 0.5 gram to 1 gram twice daily with meals. Safe and recommended for long term use. PACKING: Bottle pack of 60 capsules and 100 gram can.